It is such a pleasant surprise to have a slight chill in the air, here in Texas already! For all you know it is just the cold front and the hot-humid-weather is just around the corner, but I am going to enjoy dreaming of Fall while I can. New seasons calls for new shopping lists. Boots are always on the top of that list. One can never have too many boots (or shoes for that matter). This year I am looking for something more in burgundy. God knows, if I will end up finding them. 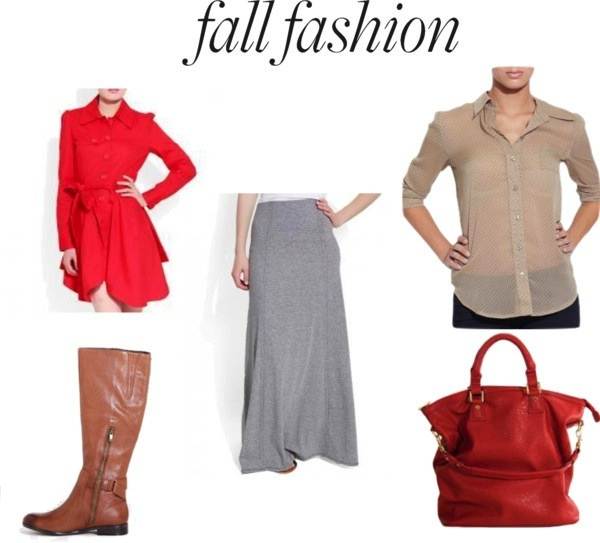 Long skirts have been always my favorite, however I do not think I have worn them much in fall/winter. Though I think knitted skirt would be great of Texas weather, and so would sheer blouses. I have been obsessed with them all year, and looks like the obsession is going to carry on. And then when it gets close to winter a trench in a bright color would totally bring any outfit together. Oh, and lets not forget a bag. We can never have too many bags either, by the way! Right?